This post describes an easy way to use TensorFlowTM to make your own handwriting engine. It is shown here as an example project. The full source code can be found on github https://github.com/niektemme/tensorflow-mnist-predict/. I am in the process of writing an article on Machine Learning. When writing on this topic it is hard to ignore TensorFlowTM, a deep learning engine open sourced by Google. 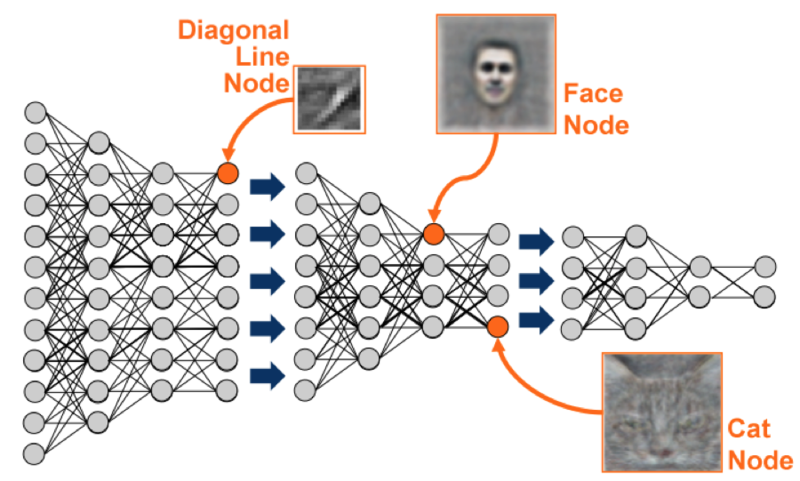 Deep learning is a branch of Machine Learning that uses the concept of the human brain in the form of neural networks to solve various problems such as image and speech recognition (Image 1). Problems that are hard to solve using computer ‘traditionally’: using a computer as a big calculator. The fact that TensorFlow is created by Google gives it a lot of traction,especially among the tech sites I follow. To learn more about TensorFlow I joined the local “Coffee & Coding” meetup in Amsterdam who hosted “Get our hands dirty with TensorFlow”. At the meetup we experimented with tutorials from the TensorFlow website. The tutorials themselves are clear and well written. To me it seems that these examples focus primarily on building and validating the model, but using the created models is not a priority. An exception to this is the ‘Image Recognition’ example. This is, however, one of the more complex examples, making it hard to use when you are not a Machine Learning expert. While searching the internet–perhaps even using some AI from the same company that created TensorFlow–I saw that more people were trying to find how to apply the created models to solve actual problems. So I set my goal on how to use a trained model using the easier TensorFlow MNIST tutorials on handwriting recognition.